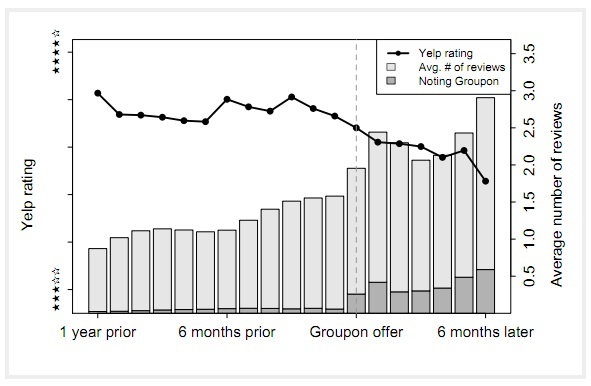 John W. Byers and Georgios Zervas of Boston University as well as Michael Mitzenmacher of Harvard began researching the effect of daily deals on the overall average of a Yelp rating. The trio looked at both Groupon and LivingSocial relationships with businesses that were listed on Yelp and found that the typical rating was 10 percent lower when a business participated in a daily deal. In addition, the volume of reviews increase by about 44 percent on average. 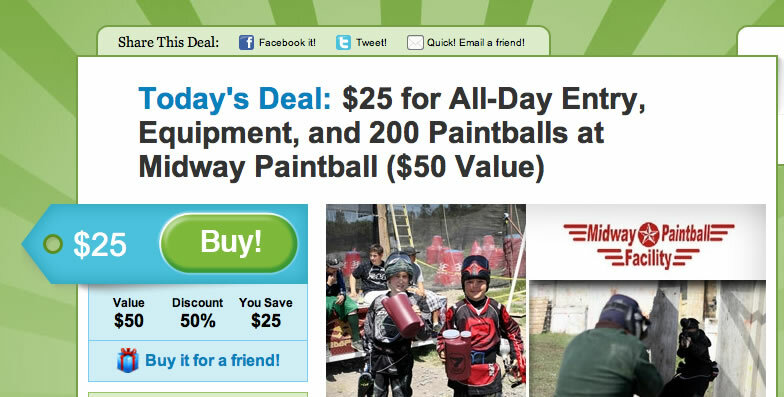 Reviews that mentioned the phrases “coupon” or “Groupon” were typically 20 percent lower than the average review. This drop in ranking typically came out to a decline of half a star from Yelp’s five-star rating system. In a study conducted by Michael Luca of Boston University, the research found that an increase of one star on a Yelp rating typically increased the revenue of the business by 9 percent. While traffic gained from a Groupon or LivingSocial promotion may increase traffic in the short term, the declining Yelp rating may end up costing the business valuable traffic in the long term. Public relations representatives from LivingSocial were quick to draw doubt on the study and responded quickly to Launch claiming that the LivingSocial internal metrics were superior to external data studied by the researchers at Harvard and Boston University. While Groupon’s revenue is up in August according to an earlier report today, weaknesses in partnering with companies in the daily deal business are beginning to pile up. In a 2010 study of 150 businesses that partnered with Groupon, Forbes found that 33 percent of the group lost money on the promotion. Of that group, only 25 percent of customers spent more than the face value of the Groupon and just 13 percent returned to the business. Combine that loss of revenue in the short term with the likely decrease in Yelp rating and the risk involved in partnering with a daily deal site clearly increases.